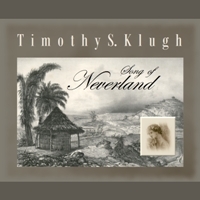 "Come Away, Come Away (Song of Neverland, 1st Mvt)"
"Straight On Till Morning (Song of Neverland, 2nd Mvt)"
"Peter Pan and Tinker Bell (Song of Neverland, 3rd Mvt)"
"The Lost Boys (Song of Neverland, 4th Mvt)"
"The Pirate Ship (Song of Neverland, 5th Mvt)"
"Captain Hook or Peter Pan This Time (Song of Neverland, 6th Mvt)"
"The Return Home (Song of Neverland, 7th Mvt)"
Cast: Josh Bernard, Krystle J. Van Fossan, and T. Shawn Klugh II. 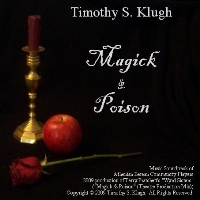 "Once Upon A Time (Magick & Poison, 1st Mvt)"
"Toil And Trouble (Magick & Poison, 2nd Mvt)"
"Drawing Down The Moon (Magick & Poison, 5th Mvt)"
"Pocket Full Of Rye (Magick & Poison, 6th Mvt)"
"13 Bells (Magick & Poison, 7th Mvt)"
Denver Clayton Moore, Jr., and Jason Peitsmeyer. Denver Clayton Moore, Jr., and Katelyn Stenerson. 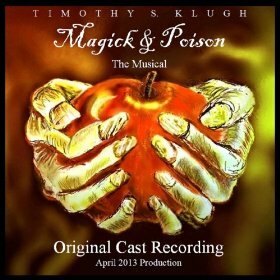 "Magick & Poison: The Musical"
Artist: Denver Clayton Moore, Jr.